Coffee – the most accidental discovery of human civilization is the second most sold commodity after oil that tops the list. A bar without beer and workplace without coffee, are both unthinkable. Something that does not and must not exist in reality. Thanks to the Ethiopian Herder who fed his goats with coffee beans unknowingly, only to find them unusually ludic for the rest of the day. Okay. This was all about how this so very essential “workplace hot drink” came to light, somewhere around the 9th century. Coffee has grown to be something beyond beverages. A cup of coffee may be a good morning wish for you, whereas it may be a means of saying the first Hello to any newbie in my cubicle. And for Tom, it may just be a mode of relaxation. Working on Mondays seems next to impossible; especially after a long weekend that was spent partying with friends. Now what – feeling a little drowsy? Your monitor screen is staring at you. Come on, you need to do something. Is there anything that can help you to fight this strong desire of falling asleep for at least a couple of hours or so? Of course, there is a solution and what is it ? Just a perfect Cup of Joe. Talking science, adenosine is a substance that causes the human mind to feel exhausted and hence sleepy. The caffeine present in the coffee fights back this adenosine receptor, and hence you feel less sleepy even when you are damn tired. Way back in the year 1952, the Pan American Coffee Bureau ran an ad campaign that read – “Give yourself a coffee break and get what coffee gives to you.” This was how the term “Coffee break” became popular and now is an integral part of work culture. Can you even pass a single working day without a coffee break? No and never. Research shows that employers who take their coffee breaks together, share a better cordial relationship as compared to the ones who don’t. And as we all know that sharing harmonious relation with colleagues is so very essential. Therefore, never compromise with work for a cup of coffee and do not neglect occasional coffee breaks for the work load pressure. Neck pain, back strain and stiffness around the wrist – a common scenario amongst corporate workforce. Your body is not to be blamed for this. You spend long hours before monitors, running keyboards without giving any relaxation to your muscles. And this is what you will land up to. However, again a cup of coffee can ease out your discomfort. 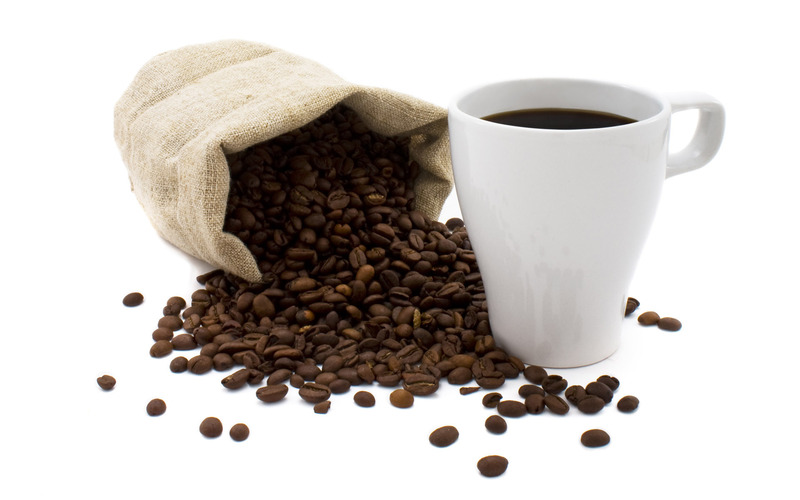 Caffeine present in the coffee is said to relieve muscle pain up to a great extent. So, when you are stuck to your workstation and have no scope of giving yourself a break; enjoy a cup of good coffee. You will surely feel rejuvenated. While you may find it to be a little exaggeration; a good cup of coffee is said to enhance the employer-employee relation to a great extent. Jack, Senior Human Resource Professional, once found it very difficult to figure out – why their management was not being able to retain employees for a longer duration. And for those who continued, did not show any remarkable improvement for quite some time. To his surprise, Jack found…. If not the only reason, a missing coffee vending machine in the work premises was one of the reasons behind. Maintaining a good workplace environment involves short, uninterrupted breaks with the soothing aroma from a well served coffee mug. 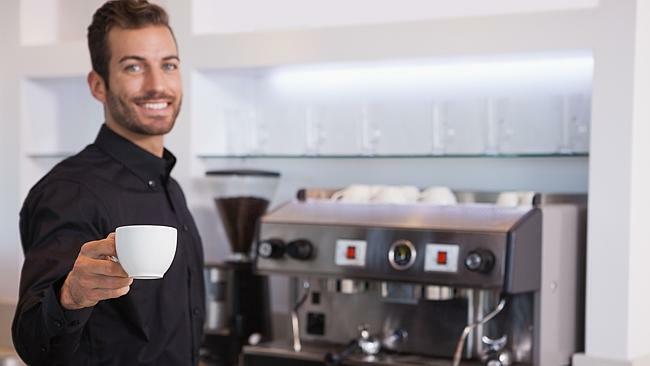 As a matter of fact, a recent survey conducted showed that 61 percent of employees considered the absence of coffee machine, or for that matter a poor quality coffee, demonstrates employer’s negligence towards the well-being of their employees. So all employers gear up and take time to know how your coffee machine is doing..
Jack then worked on building the happiness quotient within employees and brought a vending machine that served, according to his workforce – the perfect cup of coffee. Working on all open ends, that involved scheduling coffee break timings; Jack is now happy to have all his potential employees working towards excellence. Now drawing the thin line between health and addiction is very essential. Just because some coffee lovers cannot draw this thin line – Coffee has been wrongly made the wicked witch. 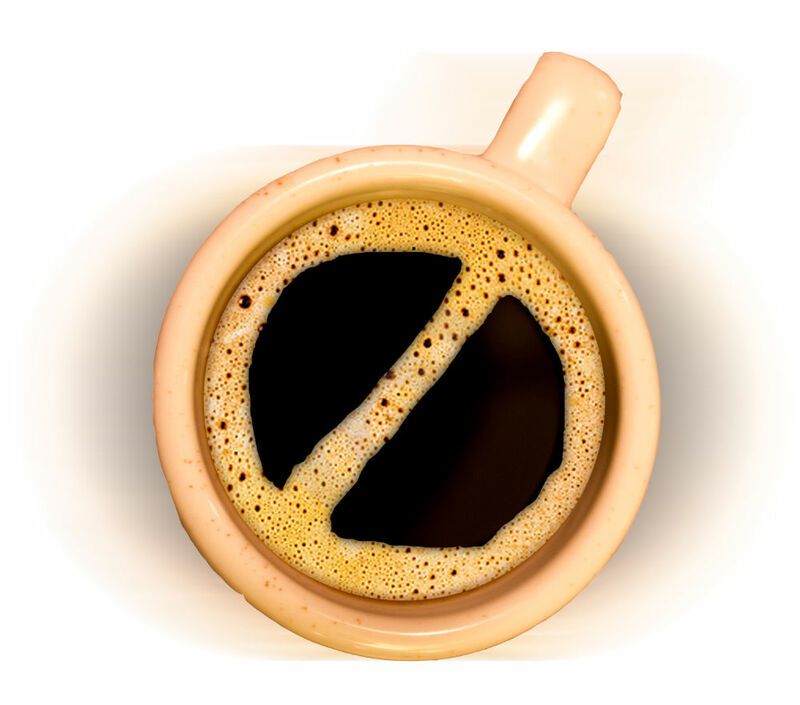 Caffeine is a rich antioxidant and therefore, a 400mg of its consumption is considered healthy and tolerable. This means that 4 – 5 cups of coffee is good for adults. Some can even extend this by one or two cups. However, going beyond this is harmful. Health experts advise that individuals need to restrict themselves from tasting the tenth cup of coffee at any situation. This has no health benefits related and may prove lethal. OH MY God!! The first web cam was invented just to check the levels of coffee available in the hot beverage pot. Computer scientists working in the Cambridge University found it annoying to see an empty coffee pot, each time they desperately needed a coffee drink. 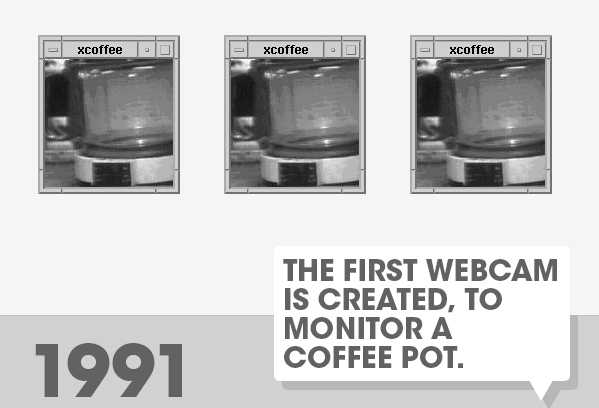 Therefore, in 1991, they invented a webcam that was placed near the pot. And now the scientist did not need to disturb their focus on work as they could view the levels of available coffee right from their desk. So, when the scientists at the university needed coffee to concentrate, we can definitely excuse ourselves with a few cups of coffee a day to remain alert and focused on the job front. Coffee lovers around the world, must have found this handout extremely interesting and encouraging. Those who are not so much into coffee can definitely continue skipping it. And with this, we can conclude this interesting discussion about coffee and workplace productivity. Hope this was engrossing for you. Getting along with colleagues makes work fun. Some of them become your best friends and this friendship may last for lifetime. With good co-workers your post-work social life becomes exciting. Whether you are alone or with your family, friendship makes your life worth living. But you do not come across good friends all the time. Sometimes you have to take real efforts to make friendship, especially at workplace. You may be at your first job or shifting to a new job in the middle of your career; you may be working in a small company or top-notch business brand; whatever may be the case, you need to know your gig to enjoy your work. Knowing your co-workers helps you to learn about the corporate culture of the company, participate actively in teamwork and produce good quality work. Just think how would be your life if you are unable to connect with a single colleague? With whom you will share your lunch, gossip and free time with? Yes, it is not that easy to make friends at your new workplace. It is also not advisable to believe anybody and everybody with an innocent face. But there are some strategies to make friendship the right way and with the right people. 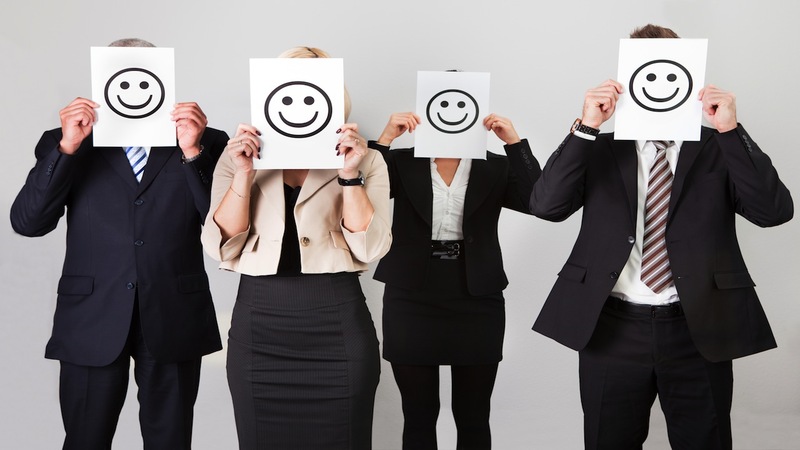 Be a smiling face: A smile on your face can change the atmosphere within your cube. When you enter the office, try to keep a happy face even if you had a bad start in the morning. Greet your co-workers with a smiling ‘good morning’ or ‘hello’. This will make them feel that you are a nice person and some of them may come up to you to start a new conversation. 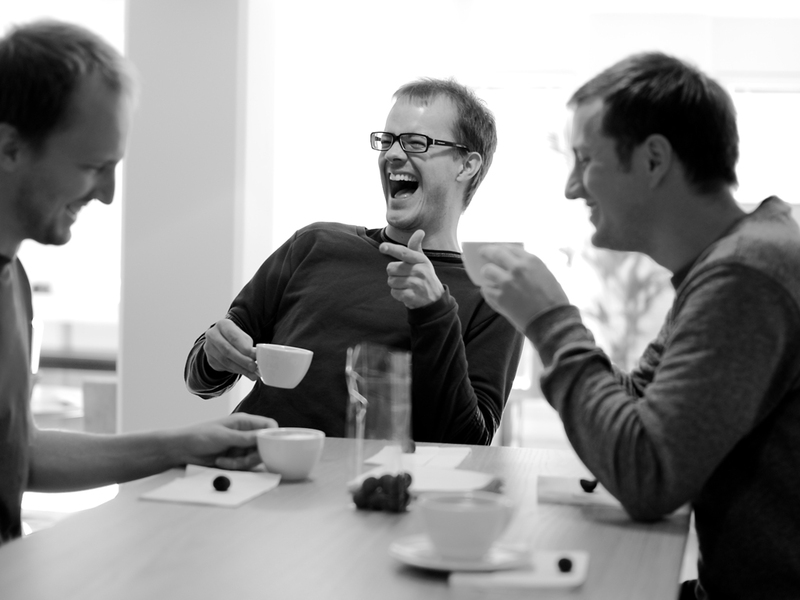 Make friends in your cubicle: You may find your co-workers talking over cups of coffee in the cubicle. This does not mean they are ignoring you. Since you are new, you must take effort to introduce yourself. Feeling shy is okay. But you should try to say one or two sentences to introduce yourself like “Hi, I am Mary. I joined last week in editing section. What do you people do?” If this does not work, take another chance of connecting with these people during lunch break or tea-time. Ask them ‘Can I join you for a cup of coffee” or ‘Can we have lunch together?”. You will get positive response from one or the other friend. Don’t disturb anyone if they look busy or go on narrating your background starting from birth. Show interests in others’ hobbies and passions: A brilliant way of striking the right chord is paying attention to your colleague’s interests and hobbies. Have a quick chat with your cube-mate and discuss topics which are not related to work. You can learn about their likes from certain things like the coffee mugs, photo frames, table clocks or other items they keep on their desks. Questions like “where did you buy this dress” or “where was this photo taken” can be great ways to kick start a conversation. Show genuine interest in them and their hobbies and remember some details that you can use for future conversation. If any common hobby or passion binds you and your co-workers, you can plan for an outing on the basis of that interest. Ask them if they would like to take their friends so that you get chances to socialize with more people. Even if your cube-mate doesn’t have hobbies like those of yours, they can invite friends with whom you can share your interests. Thus you can make plan for any outing. Don’t spend too much time at your desk: You are not getting positive responses from people around you. That is fine. Don’t worry. Sometimes things do not turn up as we expect or plan. That does not mean you stop blending in with others and simply log at your desk all throughout the day. Walk over to the coffee machine or water cooler or office reception and say ‘hi’ to others. One or the other person will definitely notice your politeness and willingness to talk and like to catch up with you. If they invite you out for lunch or snacks, show your eagerness to join them. Grab this very good opportunity to connect with your new gig and don’t forget to thank them. Go for an office tour: In every office there is one person who is eager to help the newbies. You can ask them to show you the office and introduce you to few people. Find someone like you who is new to the office: There are some offices where people work in groups, share their lunch or spend free time in groups. In such circumstances, you may feel like the odd one out. How to break the ice then? Look around you carefully. You may find one or two people who are new at this workplace and searching for some friends. Don’t shy away from making the first move and invite them for coffee or lunch. Go slow: You hit it off with one or two friends and start sharing everything. Take a pause and think. Have you spent enough time with your new friends to know them well? Are you sure you don’t have any risks from them? It is better to take some time to build trust and take your casual friendship up a notch. 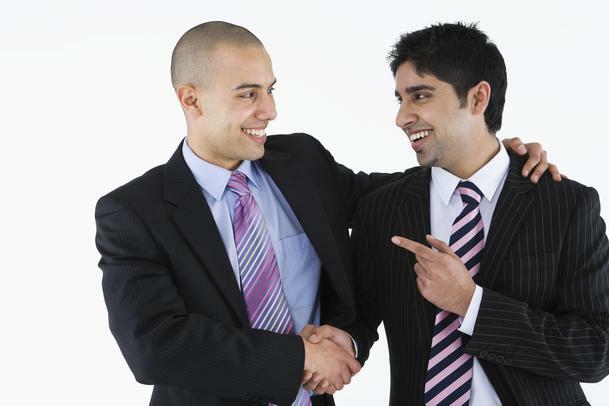 Ask your manager for help: You can ask your HR manager or project manager that you are finding it difficult to make new friends. A good manager will surely do something like taking the team out for lunch so that you get to know your friends well and vice versa. With all these tips, you can make those friendship juices flowing. You must make yourself the person you want to be friends with. If needed, change yourself for good. Remember no relationship can bloom without small adjustments. In our professional life we get to know one employee who is not easy to get away with. That one person is toxic and annoying. You are embarrassed because that person does not know how to read social signals and act accordingly. Whether you are in a meeting or a lunch, when she sits beside you, she drives you nuts. Since you have your own work, targets and challenges to meet, you don’t want to waste time waiting around for her. She may not be doing all these intentionally; she may be nice and honest. But at times you don’t simply know what to do with that person. It happens. What you need to do is learn some tricks to deal with such clueless workers. Analyze the behaviors of the worker: You must closely analyze the behaviors of this worker and whether she can be rightly termed as ‘clueless’. You must not be wrong in judging her. Sometimes it happens that an individual is really talented but not suited for the particular role, she is playing. Or she is new in the field, so taking more time than usual to learn and gain perfection. Don’t draw conclusion too early. Instead you must help her to learn skills. Spend some time with her asking where they do need help. If possible, talk with your manager regarding her behaviors and try to come to a conclusion that is beneficial for the whole team. Act in a professional way: She might be driving you crazy. Whatever may be the situation, don’t act in the heat of the moment and let your emotions rule over your logical mind. Expressing your bitterness will affect your performance and break your long-built good image. Don’t take resort to condemning, shouting publicly or badmouthing. Remember, she might not be getting the signals you are sending. Since you are at workplace, you must follow the office ethics. Have simple, clear conversation: While talking to that person, always be clear in your words. Be straightforward without sounding harsh. Explain the same point twice if you think she just pretends to understand but actually does not. Don’t be sarcastic because she may not grasp what you are actually trying to say. Discuss the matter with management: You have tried all the means, but failed. You talked with your team members and all of you took steps to resolve her issues, to increase her productivity and help her evolve as a better professional. Now is the time to let another person, someone of higher authority, step in and take the matter in their hands. To fix the problem, the management can talk to her, train her, change her role. If needed, they will fire her. It is up to the management how they will deal with the issue. Confront her if she tries to home in on your achievements: In every office, you find one employee who tries to be the focus of attention by taking credit for work she hasn’t done. If you come across such event, try to confront her politely. Be firm while maintaining that you have accomplished that specific target. So you should be on the receiving end of all praises, and not her. Tell her to reveal the fact as soon as possible. Give her some deadline and tell her you will be taking matters into your own hands if she delays. If this does not work, send a mail to your manager and her mentioning you want to have some serious discussion. 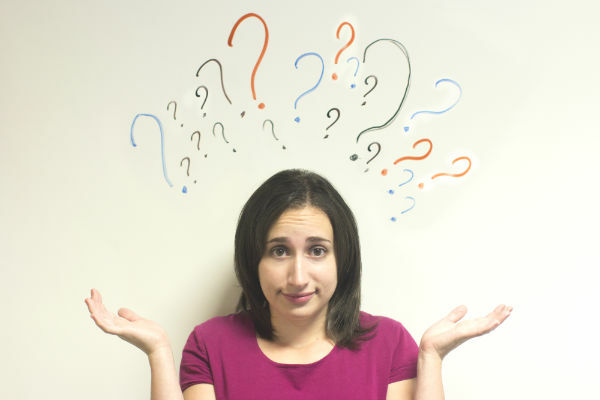 If a clueless worker is your boss’s favorite, she can give you tough time as well. Find out to what extent this clueless worker’s actions are having negative consequences: If you think her behavior is harmful to the extent that it is negatively affecting the team spirit and some team members have been looking for ways to ignore her by moving to some other projects, bring it to your boss’s attention. If your boss likes her and she is trying to use this factor to remain in the limelight without doing any productive, quality work, talk to your boss. Tell him that she is not adding anything valuable to the team work. If the fact is that you don’t like your co-worker simply because your boss likes her, you must think twice before taking any step. Be rational while judging her. You raise a complaint against her for no good enough reason; your boss listens to you and moves her to some other team. A new member comes who gives you the same bolts time and again. Is this going to work? So what is the real problem? If you have a personal problem with her attitude and actions, it’s better to ignore her since her behaviors are not causing any potential loss to others, or more specifically to the company. Focus on your achievements and learn to promote those: If you think your boss is not giving you constructive feedback that you deserve, you must take small efforts to get noticed. Your boss may shower praises on your lazy, inefficient co-worker during team meetings or group lunches; you must not get bogged down by all these. What you can do is to do some mouth publicity of your own achievements. For example, in a team meeting where discussion is going on regarding a presentation where your involvement is required, you can ask your boss or other members whether they liked some earlier presentations that you made for some ‘abc’ projects or ‘xyz’ projects. When your boss walks in to your cube to assign you some work, don’t just say ‘yes’. Instead take his pre-occupied mind to visit some of your recent accomplishments asking him how much he liked your work or whether he thinks of ways you can improve. Thus you can let your manager and others know that you are far more capable than that credit-gobbling team mate. Whether the clueless employee is a co-worker, or someone your boss likes too much for no good reason, you must treat her professionally. Do you struggle for happy days at workplace? The hustle and bustle of modern life makes it almost impossible to feel delighted at work. Isn’t it? Yes, we agree. Since we are living in stressful times, we find it difficult to make our professional life beautiful. But you need not be a creature of the alternate planet to love your work and workplace. Enjoying what you are doing certainly enhances the quality of work. Thus to increase the productivity of employees without affecting the quality of work, companies around the world are going that extra mile to make employees feel happy. Google, one of the world’s top most companies have taken various measures to support its employees and as a result, employee satisfaction has risen by 37%. Whether it is your home or workplace, being happy matters the most. Many happiness researchers opine that happiness depends on 3 main factors- situations and circumstances, genes and efforts you take to make yourself happy. While you cannot exercise total control over your life circumstances, you can certainly work towards creating a happy environment conducive for your work. So the next time, you feel like running out of your office, throwing off your laptop or abusing others for a hellish day, take a pause and think what you can do to make your day bright, enjoyable and yet productive. For this, you need not really think out of the box. Try some of these easy tricks to have some outstanding results. Kick start your day with some healthy habits: As rightly said ‘morning shows the day’, you should take steps to make your morning beautiful. Start off your day by waking up early, greeting family members, doing some exercise, taking your favourite cup of tea etc. Don’t check your mails or phone for reminders at home. Remember a happier day at work must start with a happier morning. Give a smiling “good morning” to your colleagues: You may be already late and rushing to reach your cabin. In this attempt, you don’t greet your colleagues. This may be a common workplace scenario which is a sign of a bad day. Instead, give a ‘hello’ or ‘good morning’ to your colleagues and see how fast this small mannerism gives you a positive vibe. Create an environment conducive for you and colleagues to work together: It does not essentially mean that you pass time while gossiping over cups of coffee. Learn about your colleagues’ hobbies and passion. Small talks on each other’s interests will help building great environment for work. Friendly relations among colleagues will foster team spirit. Genuine compliments like ‘you are looking beautiful’, ‘how do you cook delicious food everyday’ or ‘I just loved your presentation today’ will not only impress the listener but also make you feel positive. Be clutter-free: Clutter says a lot about you. Like you tend to blame your past for your present state of mind, you think you are living your worst days. Not only this, clutter indicates a sense of failure. Be organized; don’t keep on piling up stuff. Decluttering will let you open your mind. Messy office cube, heaps of papers, sticky notes etc. can disturb your mind. For a happy day at work, it is essential that you keep your cube clean, tidy; even if you don’t find time to organize those every day, just arrange books, papers and similar objects in drawers or store them in mini organizers. Make your cube colourful and attractive: How about adding a dash of colors to your space? Colourful notebooks, pens, photo frames, mood-lifting quotes will surely make a lot of difference. Let the energy flow through colours and brighten your mood all throughout the day. Take care of your diet: Happiness is not only a mental state. You need to feel good physically. So taking proper diet and drinking water adequately should be of prime importance. When you are physically fit, you feel energetic. Include loads of protein, complex carbohydrates and good fat in your diet. Go for refined foods or fried snacks only once or twice a week, that too in poor quantity. Keep some nuts with you always. When you are feeling low or stressed, munch on your favourite nuts, especially walnuts which have omega-3 fatty acids, known for lowering depression. Take a walk: Both for your physical and mental well-being, it is essential that you take breaks and move around. How can you increase your productivity with that aching back or head? If your job demands you to sit on chair all day long, perform some light exercises involving your back, hands, legs and shoulders. Even if you cannot exercise, walk for 5-10 minutes whenever possible. Why not go for walking-and-talking meetings, why not talk over phones while walking? Go for some sunlight: This is another way of knocking oneself up the happiness ladder a few notches. Since you are spending most of the day at office, make sure your cabin get some exposure to sunlight. If not, you must push yourself to step outside and get some good sunshine that will help you to sleep well at night and feel less depressed. Tools to increase productivity: You go to office to produce good work. When you don’t meet your targets you feel trapped in your job and that gives rise to maximum unhappiness. Distractions and procrastination are the two major reasons behind our failure at work. So how to remove those? Since we are living in this digital age, we can use technology to reduce wasting of time. You can install various apps on your phone that prevents you from accessing the internet for some time or block those sites that eat away a major chunk of your time. Stop spending useless hours while posting photos and liking others’ photos on those social networking sites. Spending an awesome day at work is not that difficult. For a serious dose of energy, play your favourite songs, learn something new, treat yourself, focus on the positive and don’t forget to smile.